With the November internationals starting this weekend it is having an impact on European leagues, mainly in Great Britain. In England the teams in the Premiership will be involved in the Anglo-Welsh Cup. For Andrew Durutalo that means his first start in a Worcester shirt. He'll go up against fellow American AJ MacGinty who starts for Sale. Joe Taufete'e has the weekend off. So do the American contingent at Saracens. Chris Baumann will get a chance to make his first official start for Leicester. The Guinness Pro14 Blaine Scully will start for Cardiff. In the Top 14 both Samu Manoa and Dave Ryan will start as Toulon and Agen go head to head. Lastly, teams in the RFU Championship, where now a number of American play, have the weekend off. Chris Wyles and Titi Lamositele are not in the line-up as Saracens play Harlequins on Sunday. Lamositele is still injured. AJ MacGinty will start for Sale as they play Joe Taufete'e, Andrew Durutalo and Worcester today. Durutalo will start. Chris Baumann is on the bench for Leicester as they play Gloucester on Saturday. Blaine Scully will start for Cardiff as they play Scarlets on Saturday. Callum Black is on the bench for Ulster as they play the Southern Kings on Saturday. Greg Peterson is not in the line-up for Glasgow as they play Leinster today. Thretton Palamo and Bristol have the weekend off. Palamo is injured. Ronnie McLean and Richmond have the weekend off. Dino Waldren and London Scottish have the weekend off. Robbie Shaw and Hartpury have the weekend off. Nick Civetta and Doncaster have the weekend off. Pierce Dargan and Old Belvedere play U.L. Bohemian on Saturday. Tim Maupin and St. Mary's College play Young Munster on Saturday. Kevin O'Connor, Alex McDonald, Will Sims, Liam Smith, and Trinity play Cork Constitution on Saturday. Paddy Ryan and Highfield play Nenagh Ormond on Saturday. Jess Wooden and the Harlequins play Gloucester-Hartpury on Saturday. Samu Manoa will start for Toulon as they play Dave Ryan and Agen on Saturday. Ryan will start. Taku Ngwenya and Brive play Stade Francais on Sunday. Eric Fry is not in the line-up for Vannes as they play Dax today. 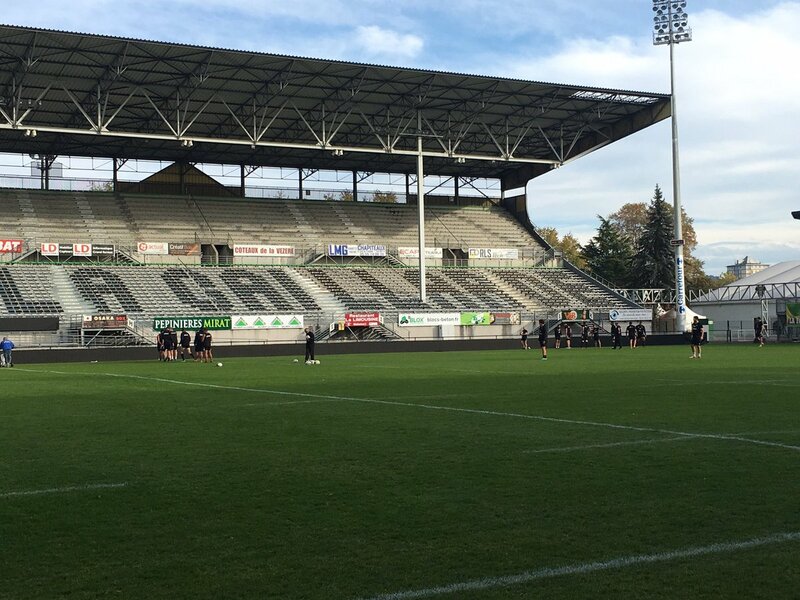 David Tameilau will start while Siaosi Mahoni is not in the line-up for Narbonne as they play Massy today. Christian Ostberg is not in the line-up for Aurillac as they play Nevers today. Roland Suniula and Reggio play Toscana Aeroporti on Saturday. Marcel Brache will start for the Perth Spirit as they play the Canberra Vikings on Saturday. Graham Harriman and James Bay play Capilano on Saturday.